We are a family of four. I am 37 yr old male, my wife is 36 and we have two sons 14 / 7. I own a construction company in Maine and will be semi retiring within the next year, maybe two if I can stand it. I am very skilled at many jack of all trades things. I know that doesn’t put me at the top of most lists of skill sets needed so I will list some of what I have done. Rebuild 1970 backhoe / Build my high end custom off grid house / built my barn, mini barn, shelter, septic, 1,000ft driveway, clearing for house / Spent last 10 years living completely off grid with solar (I am poor in the electrical skills department) / Built my construction company from scratch to be able to retire by age 38 / I train with my firearms and tac gear, currently hiring pro trainer for private lessons. While this is not a list of my skills, it is a list of things I have accomplished with skills I have and have acquired. My main focus now on skill building is with tactical firearms training which I am doing every month and on the side at my personal range. I am also use to extremely high stress environments due to doing construction for 15 years. My wife has pioneer skills like making bone broth on our wood stove and sewing, natural medicine, soap making, excellent garden skills, and is great at animal husbandry. She does everything for vet work with our goats including giving them shots, and giving birth to their kids. We raise goats, rabbits, and chickens. All by her initiative and I essentially am her farm hand. My two sons are home schooled. (by my wife) They are typical children. Though they do help us daily with chores and are not completely ruined by the school system. We live in Maine. You could learn a bit about me by looking up some of my Maine posts. (Maine retreat post deleted.) We currently have a retreat. Probably one of the better locations as we are a mile down a dirt road off grid surrounded by 3,000 acres. We have lived here for 10 years and built the place from scratch. I am strongly considering a move to WV. My reasoning behind this is due to a few different things. I don’t really like the idea of harsh winters for a SHTF situation. It is not good for long term survival and patrol defense. Also we have a poor water issue here at my retreat. Another reason why I would leave is because I struggle with winter blues and would like to find somewhere that has more of a mild winter with temps in the 40’s and 50’s like I see in WV. Also I have sought and sought to build a dedicated group here and no one has had any interest in joining. So I am at the point where in approx 1 year I will be able to financially uproot. I post this now at this time because it would be good to build a relationship with a new group now and strongly work towards this as I assume that this is going to take some time. Not that I am trying to drag this out. Our preps are complete for the most part to a high standard. Our list of supplies would far exceed 90% of most. The best way that I can say this is that we are 1 family and have essentially prepared for a small group due to no one joining us I have laid up for my neighbors without them knowing as I just did not have another solution. If you seem like a good fit for us I will gladly share more info on this sensitive topic, but just know that our preps will exceed your expectations. We even have an “ace card” that would help to financially take care of us and a whole group for lifes basic needs in the event of a collapsed economy as long as there is still some kind of commerce and shipping even if the cost of everything is inflated by a dollar collapse. No mooch’s please we are not rich. Just have an investment that is not subject to dollar or stock crash. We are christians. I have been a believer in Jesus for 19 years. I have a mixed doctrinal back ground, but am very solid and not full of wacky teachings. My wife has been a christian for 14 years. We would like to find more fellowship where we move as the church here is pretty much just an in and out non participant entertainment atmosphere. I can get along with brothers from most denominational back grounds as long as their beliefs are not cultic or new age like. If there is something that we don’t agree on I am humble and still able to get along as long as it is not related to salvation or who Jesus is which I have conservative / early christian roots regarding. I do love to converse about many different biblical topics though. Although I am not fond of the current state of our country, (quite embarrassed actually) I am a patriot and believe in the constitution of the united states. Our health overall is good. I could use some jogging, although I am physically fit from doing farm work and construction work for years. I am not over weight. Essentially can not put on weight as I could use to gain a few pounds in the Maine winters. My sons are typical healthy children. My wife overall is not unhealthy, but she does have limes. (from a tick bite) She has been doing some super cleansing and major dietary work with some natural health physicians to flush out the lime. In less than 4 months it has been working showing night and day improvement. So all and all this is not an issue. Just want to be upfront about it. We seek a well established small/medium sized group. We would really prefer the people of this group to have christian background and beliefs and good moral ethics. I am hoping that in the group some of the skill sets would be some military and leo and medic skills. The groups retreat should have extremely ideal defensive location well away from big cities. I would not want to be taking a step back in the quality of what we have for a location at my current home. Group must have 1-3 years supplies for all members and be getting together on a regular basis to train. Must be in a similar position of your preps as I am or we would not be a good fit. I am not supplying a group although I am not selfish either and realize that we all come together on this and form a group with some who have strengths in other areas. Not a group with just an informal bug out plan of a few families with no organization or forward moving goals. Ideally the members of this group would be close in friendship and like a small family. I am only interested in groups where every member is like minded and active in some way within the group. I am not interested in groups that just invite anyone. I would hope that you would be very careful in your selection of people to join as this is not a free for all type of thing that anyone even reading on this forum should be like even though I see some of that here. I realize how hard it is to find people who are trust worthy and also have skills and motivation/ability to prep. It would be preferred if there were some kind of pre-established bylaws for times of peace and post shtf. Also we would be of the mindset that it would be necessary to store the majority of our preps at the retreat as moving them after an EMP event would not be desirable if possible. Being from the other side of the fence when it comes to owning a retreat we see the necessity of these things and even though we don’t have them established here it is something we desire and see would only help for smooth operation. All of what belongs to us will be labeled so that it is easy to identify in the event of a future move although that is not what I am interested in. I want to do this right and don’t have time for a mistake here. We do not want anyone who is affiliated with any racist, cult, or anti government type groups. Also even though I would like it if there is military / leo skills within the group I am not looking for a militia type group, though I do think it is extremely important that we train as a group for patrol/security. I think that it is extremely important that there is a multi leadership and not a single commanding king withing the group. Although I do realize that in many cases executive decisions will need to be made. Jonathan Hollerman’s books talk a lot about this. Two EMP proof vehicles diesel and gas. Foot powered grain thresher. Deep well hand pump. Shallow well pump. 5 dakota alerts. 1,000 jars with ten x times that in lids. Diesel generator. Diesel fuel trailer. Retreat size supply of medical items. Retreat size supply of many other things I feel I should probably not mention here, I am speaking about the core essentials. We also have 15 goats and half a dozen meat rabbits we would want to bring. At least some of the goats. Storage for all of these items could be an issue. Some of it can go in a conex box and some would need to have stabilized temps. We would also bring my skid steer and all of the attachments- in new condition. And could bring my old backhoe if there wasn’t a machine to dig on site. And the list goes on. My plan is to continue to do what I am doing and prep where I am. I am going to continue to run my company in order to bring in enough cash flow to buy a house and make the expensive move and also to have enough to start another business when I get to a new location. By the time that I move I will not have to work, but I think it would be irresponsible and lazy being only 38 or 39 to completely retire. I will try to make a business that would benefit our preps in some way. Let me know if we seem like a good fit and we can consider the same and if all works out we can begin to entertain the possibility of making a move in the upcoming year. PM me and leave an email on the private message. I will then email you from my email. At this time we have not joined a group and would also be interested in single families. We are currently seeking to buy a large piece of property this summer in Southern WV to begin to build our retreat location. So if you are interested in starting something small with us from the ground up then please contact me and if it is a good fit for both of us then perhaps we can move forward. The startmail is a pay for email but it’s also the safest I’m aware of. There is also any number of VPN’s you can subscribe to, in order to hide your IP adress without constantly unplugging your modem overnight all of the time. Which changes your IP address most of the time. You can also do a search on, “How to hide your IP address.” PC Magazine does have an article on how to do it. I’m fairly sure, I’m all about what you are all about. I also have resources and am fairly flexible. Hey! Stay safe up there. Lone Watcher…. not really sure how to contact you directly. The private messege set up on this site is hard to figure out every time I try to do it. I do wish they’d fix that even though I love the site. I’m more interested in AR and MO as you get a lot more for your money and there is less condensed population. Farmy area in the mountains. Where as asheville, NC is mountain area without farms. I was even looking at highland county, VA but they get a bit to much winter. I am sick of winter in Maine and want out as soon as possible. I can leave as soon as November this year if I find the right place. Possibly run my company remotely until I can rebuild another company or something. I’m Dennis and we’re in the Ozarks of Arkansas! Checkout our website at http://www.mountainburgcoop.com. Go to the contact tab and let us know what you think. Please ask any and all questions that you might have. God bless and hear from you soon. I am starting a community in the Ozarks. I am very familiar with MO as I am from there. I am learning the site as I just joined. please message me. We are a “group” that is in western Virginia, farther south than Highland County. Located in a farming community with several other “groups” in the county. 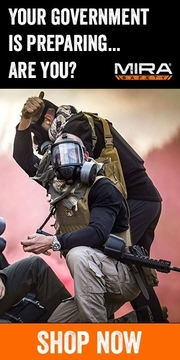 These “groups” act as sort of community with each helping the others and training together. We regularly communicate with several groups outside of the immediate area and share ideas. There are always properties for sale depending on your needs and resources. No location is perfect, each has its pro’s and con’s, but community networking can be a strong backbone. Franklin County, south of Roanoke, tucked near the Blue Ridge. There are several groups in the county, plus several “start up” groups. Additionally there are two groups in Floyd County we work with regularly. There are even two groups in NC that we communicate with on a regular basis, one in the coastal area the other in north central NC. I am about 2 hours from your location. Would the folks in North Central NC be closer to me? To meet new folks you will need to expand your network. 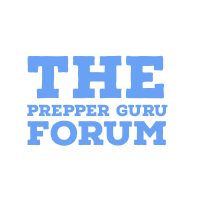 We’ve found it very helpful (and great training) to attend courses that are in the “prepper” field. Folks like NC Scout (Bushbeater blog) offers a series of great radio classes and field craft. For tactical training places like Max Velocity Tactical in WV is a great place to build skills and meet new folks. These are just a few of the resources that are “local” and affordable. Finding local individuals is difficult, but worth the effort. By our very nature we are “low profile” (OPSEC), so you have to look for areas that are “cross over” subjects; hunting, shooting, camping, hiking, gardening, etc. We’ve found the internet is not the best method of finding or meeting folks, it is to impersonal. We use the internet to share information with folks who we already have established a relationship with. Perhaps SoCenter VA would be a place to go? Lots of water here and (at the moment) land can be on the cheaper side. Vestetcomm, I would be interested to know more about SoCentral VA. I really want to move to Highland County as it is very remote…properties are so expensive there! My apologies for the delay — account problems that I think are solved for the moment. South Central Virginia is a wonderful place. My county has only four good sized towns, lots of acreage, creeks, streams, and quite a large lake. One nearby town specializes in large lot sales. A company from the Left Coast has come in, but most of the folks there live somewhere else and commute into work. Great view of the stars, and know of a house 1 mile from me adjacent to a creek (that does overflow with heavy rain) fenced yard, 2 car garage, porch, etc. Many farmers here. Jobs are a bit scarce, but it depends on what you would want to do. Many hunt and fish. Approx. 1 to 2 hours from most major cities within Virginia and within the shadow of NC. I like it here. For any future readers we have essentially written off the Ozarks due to crazy high crime(MO & AR) Looking hard at Mountains in VA. Planning to move end of this year. Thanks! I am a most lowly servant of the most high and his son is my king. You are rich compared to me with all of the things you have and good on you for it. I have skills, A few years worth of food and gear for defense but none of the big toys you bring to the table. I have love in my heart and have been looking for people i could view as extended family. I would like to find a group to work with and who will work with me. I would be interested in learning if we could aid one and other [email protected]. Looking for survivalists in Hamilton Ontario Interested In Networking?